Due to the absence of an effective Land-Reforms Act, India has 24 crore landless and homeless people of 11 crore are adivasis and 14 crore are Dalits. Lakhs of hectare of agriculture and forest land have been transferred to corporations for non agriculture purposes, like mining, plantation, urbanization, infrastructure development and as a result of this transfer of land, villages, farmers and the rural poor are losing access and control over their livelihood resources at an unprecedented rate. Lack of reasonable secure employment opportunities for rural youth and a lack of food security is disillusioning the rural youth and is pushing them towards violence. If this situation is not immediately addressed, we could face a grave anarchy like situation in the near future. 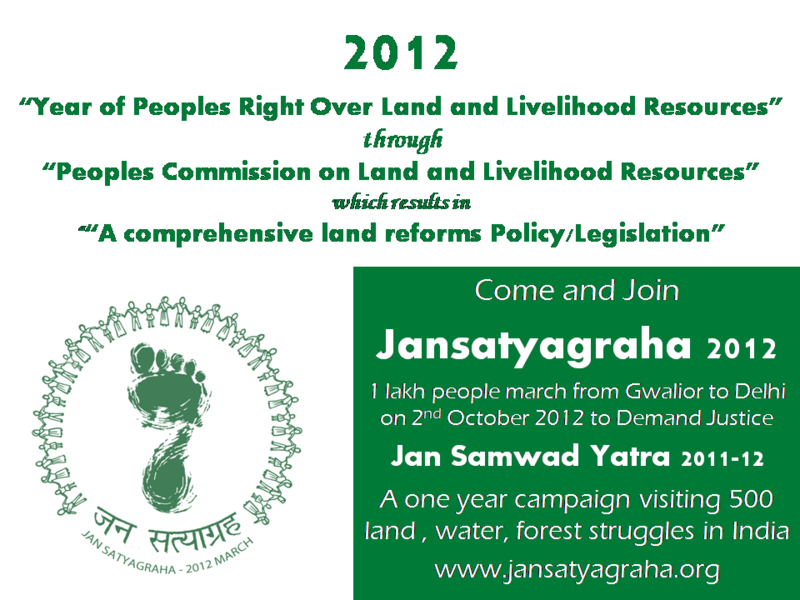 To draw the attention on these issues and to advocate for a pro-poor land-reforms policy, for the first time in the history of independent India, 25,000 marginalized people from different parts of India undertook a foot march from Gwalior to New Delhi from 2nd October 2007. The voluntary sector and the elected representatives from different political parties supported this non-violent struggle of the people in a big way. Because of people’s pressure Government of India constituted a National Land Reform Council and Committee on 29 October 2007. The committee which included members of the volunteer sector and senior bureaucrats submitted 300 recommendations to the council that is headed by the Prime Minister after carrying out numerous consultations all over the country. Unfortunately the Prime Minister has not had the time to call the council even for one meeting as of April 2012 to look into the issues and problems of marginalized sections of society. 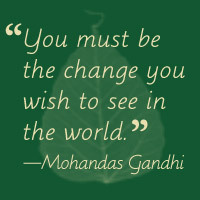 Because of this anti-people attitude of the government, the marginalized people are compelled to undertake yet another nonviolent action, Jansatyagraha 2012. Ekta Parishad has taken the lead in organizing this action and it is being supported by 2000 organizations from different parts of the country. Ekta Parishad believes in the principle of dialog to resolve all issues and is willing to engage with the government on these issue. At the same time, preparations for a campaign in which 1 lakh landless people will undertake a padayatra from Gwalior to New Delhi from 2nd of October 2012 to apply moral pressure on the government have started.